About 26 per cent of businesses worldwide are planning to hire more returning mothers this year, global workplace provider, Regus said on Wednesday. A total of 586 Singapore employers took part in a global survey involving more than 44,000 senior business people in more than 106 countries conducted by Regus. While returning mothers can help boost female participation in the workforce, the contrasting demands of motherhood and work are one of the main reasons women drop out of work. The survey found that 91 per cent of respondents believe that flexible working is key to attracting and retaining women workers. 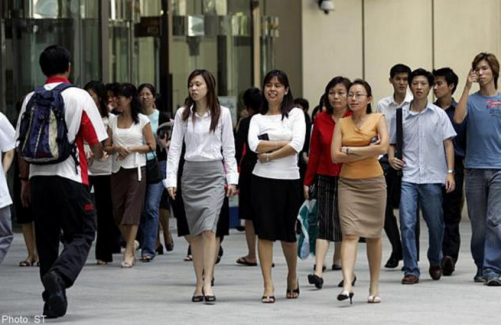 40 per cent of firms in Singapore said they will be hiring more returning mothers in 2015 while 65 per cent of respondents said they saw the value in returning mothers' experience and skills. The survey also found that returning mothers are particularly valued by businesses globally because they are reliable and have excellent time management skills. Additionally, returning mothers are seen as less likely to change jobs, saving firms the costs of recruitment and re-training. Paul MacAndrew, country manager at Regus Singapore said: "There is a vast amount of untapped potential among skilled and experienced mothers who are unable to work due to family commitments. Flexible working enables companies to tap into this workforce and offer returning mothers a way back into the workforce." "The benefits to businesses are clear: less staff turnover, lower hiring and training costs and access to talented staff," he said. "It is critical that firms offer some level of flexible working, such as the possibility to work closer to home. ".